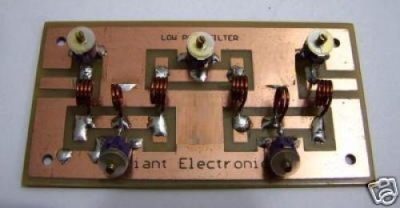 How does it works for a tunable Low Pass Filter, You will need this device to make a perfect Harmonic’s attenuation for your FM transmitter before it goes to the BOOSTER section. It will greatly reduce the harmonic from your transmitter, so the harmonic of the 2nd, 3rd, and etc will be cancelled. It will prevent “Amplified Harmonic” from your booster section. So ie will stop the harmonic before booster's Amplication. You will amaze that it will help your booster to work efficiently, and give you excellent result. This unit is also good for impedance matching between transmitter and booster.